This 36mm. 18k. 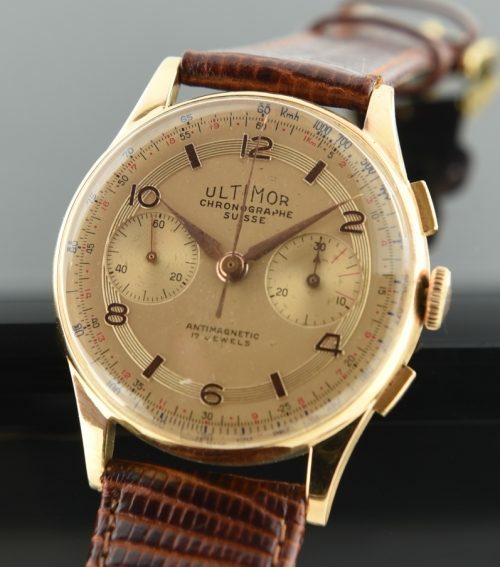 solid gold 1940’s chronograph looks fantastic! 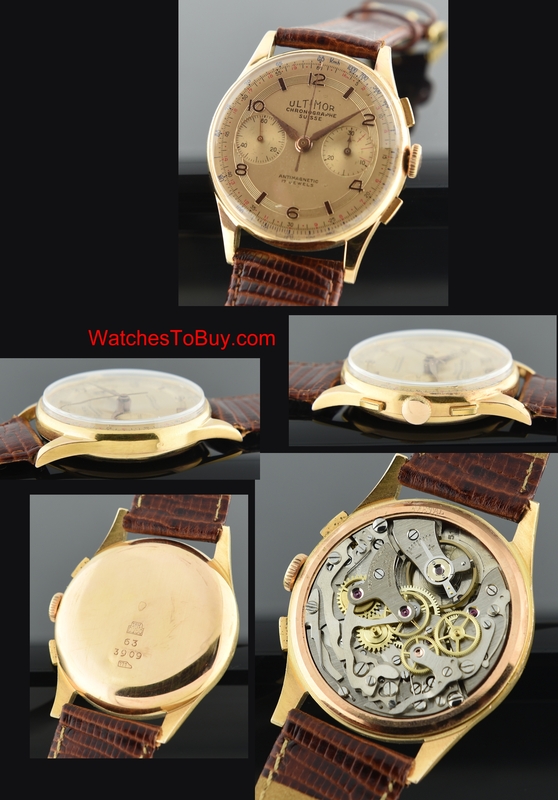 The 18k.Rose gold case has some usual dings between the lugs on the bezel edge (not really noticeable while wearing). The lugs case sides are without dings and the 18k. hallmark is visible. The champagne coloured original dial looks great with only very slight aging. The Landeron 51 manual winding chronograph movement was just cleaned and accurate with all functions operating smoothly. I am pricing this to sell FAST. A great deal at only $995.